Jason was on time when picking us up and very easy to communicate with. His tour was very informative from medieval history right through to WWII. This was our second tour this week with Jason. Meeting up with him again was like meeting up with an old friend. The tour of Nuremberg was very informative. As expected Jason delivered a great tour and wonderful historical facts. I would highly recommend Jason. Jayson was very knowledgeable, and patient with all our questions. He was easy going with a good sense of humor. I would highly recommend Jayson and this tour! Jason was fantastic. Very knowledgeable without being overwhelming. Continually adjusted the walk to accommodate our interests. TOUR GUIDE RESPONSE: Sorry you didn’t like the tour more but wondering why you waited 9 months to review it? Enjoyed the tour very much. 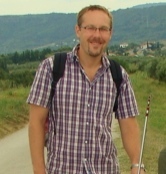 Jason is exceptionally knowledgeable, very relaxed and flexible, and gave more time than was pre-arranged. He allowed us to set the pace and determine how much time we wanted at each step of the way, and while we had some background in the areas we toured, he filled in the gaps and added a significant amount of insight, humor, and history. Well worth the time and money! We really enjoyed his tour! He knew so much and it was interesting talking to an American living in Germany! Great insights! Highly recommend! Hate giving low number to anyone....but, my daughter and I hired Jason for an aft. tour and from minute one he seemed to have an issue with us. He was rather condescending with answers to our questions to the point that we stopped asking them. The information he provided seemed mostly available on panels. The audio tour would have provided much more. We accommodated his sched. when he booked another group. He was nice when booking, but disappointing in person. Such a waste for an important trip. We were visiting Munich with our four grand kids ages 11-18 and we wanted them to see Dachau and get an informed and sensitive perspective as a family. Jason was perfect for this approach. He promptly met us and gave a presentation with just enough background from which we were able emotionally experience the site without being overwhelmed by facts and figures. He was accommodating to our questions, and if you are looking to feel the experience rather than just memorize what happened, he was excellent. Excellent knowledge. Pleasant friendly communication skills. Highly recommended. Jason led our group of college students--studying the challenges of European integration over time (from Holy Roman Empire through European Union). I armed him w/ a sense of what we had already learned and visited, hoping that he would speak to all the sites we had visited in Berlin. Jason exceeded every expectation. He was EXCELLENT, providing just enough detail and explanation, without pretension, and with frequent references to our agenda. SIMPLY SUPERB. We've had several tours since; his was best. Very knowledgeable, friendly good guide. Jason was very informative and enthusiastic about WWI and WWII Germany. A very good way to get the pre WWII feel for Nuremberg, and post WWII with the court house. We specially appreciated the guide's recommendation of this excellent tour following our inquire. He was helpful, friendly and very knowledgeable. Thank you so much for a very fun and informative day! TOUR GUIDE RESPONSE: Thanks for coming on the tour, very glad you enjoyed it! Jason was prompt and informative. He gave us a great tour. TOUR GUIDE RESPONSE: Thanks for the great review, glad you liked it! Big thanks for a great tour! TOUR GUIDE RESPONSE: Thanks for the positive feedback! Great guide! He was very nice and very knowledgable of the tour areas. He was willing to chat in between tour locations, and he was very willing to talk about German culture as well. I would recommend him for any English speaking visitors. From the US. I would recommend him highly, he did a great job! Jason was great!! We got on the wrong train and were late but he contacted us right away and did not miss a step! Very informative and sensitive to the content of the tour. Highly recommend!!! Jason provided a very informed and professional tour of Dachau that my wife and I and two friends thoroughly enjoyed. Jason's knowledge of the Dachau camp and the heinous crimes that were committed there by the Nazi provided a sobering reminder of what can happen in a society when human rights and liberties are taken and a society is oppressed. Jason was exceptional, he was very informative and went out of his way for us. He was knowledgeable, personable, answered all questions, sincere. Seemed to really enjoy educating visitors. We would highly recommend him. We were totally satisfied with our tour provided by Jason. After a couple of minutes he knew exactly what would suit our interests and proceeded to take us on a very complete and comprehensive tour. There was no question he could not answer or request he could not comply with. I would highly recommend Jason as your guide in Nuremberg. A knowledgeable and thoughtful experience and tour with Jason. Jason was absolutely wonderful. He was VERY easy to talk with and was very knowledgeable about German history, especially as it related to Dachau. We were a party of 4 with teenage twins and they both agreed it was one of the most educational tours that we went on. It was very difficult to see how the prisoners were treated, but we all agreed that it's an important part of history that should never be forgotten. Jason made it an enjoyable and informative tour. Fantastic tour. Jason was very knowledgeable and friendly. I would highly recommend both the tour and Jason as a guide. Our family of four, to include two teenagers, just did the Dachau tour w/ Jason. He was kind enough to meet us at our hotel which made figuring out how to get there that much simpler. Jason was extremely knowledgeable and kept all of us engaged with his historical perspective. We learned a great deal and I highly recommend this tour. Jason provided an outstanding tour. He was very accommodating of our limited walking ability. His American background was especially helpful to us and added value to his tour guide service. All questions and more were answered in great detail with this providing a great value to the tour service. Strongly recommend his tour guide services. Jason was great,he met us at our hotel and gave an excellent and very informative tour of the Dachau site. It was an extremely cold day but he ensured we didn't miss any of the site. We would highly recommend him and this tour to our friends. Thank you. Nice person but you can do Dachau on your own.. Outstanding tour by a very knowledgeable guide. Jason was very willing to adjust our schedule to ensure that I was able to see what interested me in Nuremberg. Further, having studied Nazi Germany in university I was able to have several interesting discussions with him on Germany during that time period. Seeing the Nazi Party Rally Grounds was something that I wanted to see for some time and Jason definitely enhanced the experience. I would highly recommend him to anyone. TOUR GUIDE RESPONSE: Thanks for the feedback and glad you liked the tour! Jason was a wonderful tour guide. Knowledgable, flexible and enjoyable to spend the day with. He tailored our tour to fit our needs, answered all of our questions, and made our trip to Nuremberg memorable. Thanks Jason!!!!! Jason was great. We were able to see everything we wanted. We did the documentation center at the end so we could spend extra time there. I would highly recommend this tour . Very interesting tour, and even kept our son engaged in the discussion. Jason did a great job showing us the Nuremburg historical sites. He is knowledgeable and presents his information in an easy to understand manner. He speaks fluent English (born and lived in the US). I would recommend Jason to anyone wanting to learn more about the Nuremburg area. We communicated with Jason via email before our trip and he was quick to respond, He met us as planned, his English is perfect (born in the U.S.) and he tailored our day around things we wanted to see along with his suggestions. We are seniors with some limitations on stairs, so he took that into consideration. We learned more than we would have if we were on our own. He filled in with historic information in a casual manner. 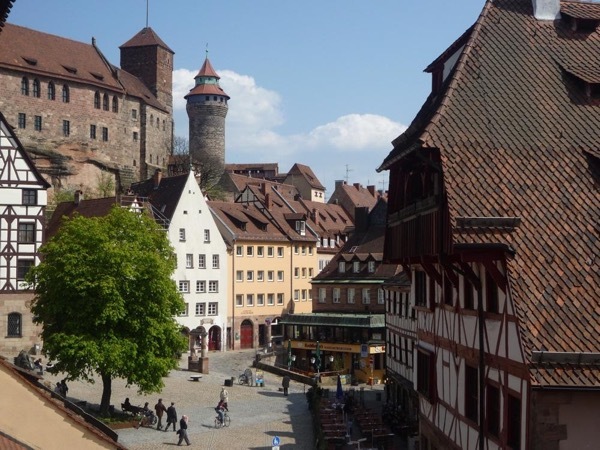 We would highly recommend Jason if you're visiting Nuremberg, Germany! My 2 teenage kids and I were very impressed with Jason's passion and knowledge of Dachau. He was very nice and easy going, and allowed us to tour at our own pace. He was patient and polite, and answered all of our questions. I would highly recommend this tour to anyone who is interested in visiting a camp in or around Germany. Excellent tour with Jason. We Appreciated his time and talent. TOUR GUIDE RESPONSE: Thanks for the positive feedback and glad you liked the tour! Even though the subject matter was somewhat depressing, Jason was a good tour guide for the Dachau concentrationi camp. We had our three kids with us (teens and older), and it was good for them to see this horrible part of history and understand it better. Jason knew his information well and showed us the best and most important parts of the site. Great tour! My husband and I thoroughly enjoyed Jason. He did a good job of explaining Hitler's ties to Nurnberg and the trials of the Nazi war crimes. It was definitely the best way to understand the part Nurnberg played in World War II. Thanks, Sharon. Jason was a terrific guide. Answering all our questions, he was helpful and made the tour interesting. Glad we found him for this tour. Thanks! TOUR GUIDE RESPONSE: Thanks for coming on the tour and the positive feedback!